Embed Our Infographic Into Your Website! The right insulation will help regulate the temperature in your home, making it more comfortable for your family and helping to lower your energy bills. When most people think of insulation, they think of the fluffy, pink stuff that is sandwiched between the walls and is qualified according to its R-value. Yet there are a lot more ways to insulate your home besides adding this traditional insulation to your walls. Vinyl windows are more energy efficient than traditional windows because they have two or three panes of glass instead of just one. Between those layers of glass is a pocket of air or gas that provides an additional buffer between your home and the outside world. These windows protect your home as well as some fiberglass insulation does. Vinyl windows also have frames that do not warp with temperature changes, so you don't have to worry about air leaking out around tiny cracks that form between the frame and the house. Most doors are just a couple of pieces of thin wood or aluminum wrapped around a hollow center. These doors provide almost no protection for your home. Choose doors that have insulation in the center instead, or choose thick, solid wood doors. Add weather stripping to the bottom of the doors to prevent air getting in or out through the crack under the doors. A garage door represents a huge piece of real estate in your home. Make sure you have an insulated garage door to prevent the loss of cool and warm air. Even if your garage itself is not insulated, having an insulated garage door will help regulate the temperatures inside. 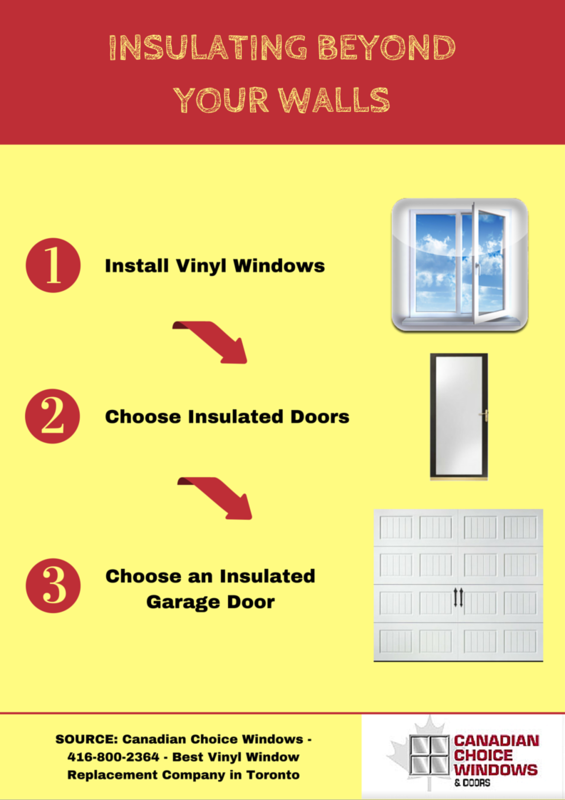 Get started improving the insulation in your home by installing High River vinyl windows then start replacing all the exterior doors in your home with insulated options. Get an energy audit to find even more ways to improve your home. How Much More Energy Efficient Are Vinyl Windows When Compared to Other Windows?